Are You Contemplating Psychotherapy or Jungian Analysis? e.g. mid-life crisis; untapped or blocked creativity. e.g. critical inner commentaries about oneself or others; inwardly torn between opposing positions. e.g. troubling relationships; self-defeating ways of living; bouts of depression; anxiety attacks. e.g. parenthood; bereavement; promotion; divorce; elderly parents; chronic ill-health. e.g. troublesome dreams; social anxiety; stress related illness; low self esteem; trauma; abuse. Curiosity, wanting to undertake a journey of self discovery. My psychotherapy and analysis practice is based in Welwyn Garden City, close to Welwyn, Hertford & Hatfield, and within easy reach of Brookmans Park, Potters Bar, St. Albans, Wheathampstead, Knebworth, Stevenage and Hitchin. My clinical practice reflects the rich diversity of the communities within Hertfordshire and North London and I work with individuals from all walks of life and a wide range of cultural, ethnic and family backgrounds as well as personal circumstances. People come to see me for psychotherapy and Jungian analysis for a variety of reasons. ... In which to discuss whatever is preoccupying you whether that be depression, anxiety, long-standing emotional difficulties; interest in your dream life and creativity; or a desire for a new direction or a greater sense of authenticity in life. My aim is to enable you to get to know and understand yourself better, to explore the issues which grip you and to enable you to live your life more fully. 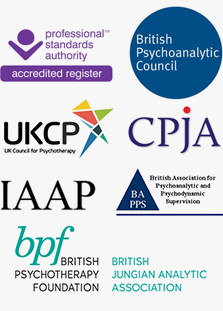 I am an approved training psychotherapist and Jungian analyst for several counselling and psychotherapy training programmes including locally based courses in St Albans, Hatfield and Stevenage as well as in London. I am also an experienced, qualified, supervisor and offer supervision to counsellors, psychotherapists and Jungian analysts. Anxiety; depression, loss and bereavement; relationship difficulties; identity issues; stress and trauma; emotional, physical and sexual abuse; eating disorders; blocked or untapped creativity; low self-esteem; anger; mid-life crises, sexuality and psychosomatic illnesses. I offer open-ended psychotherapy on a once per week or more frequent basis. More intensive Jungian analysis may be helpful and appropriate where in-depth work and deep change is desired and when an especially secure context is needed to work upon disturbing issues. I also offer time-limited work with a specific focus (often called counselling) on a once per week basis where appropriate and desired. Psychotherapy and Jungian analysis offer the opportunity to explore and seek to resolve in-depth complex problems which have a repetitive or wide spread effect upon your life within the safe setting provided by a professional relationship. I find that the experience and insights gained from my rigorous and intensive Jungian analytic training is beneficial to all aspects of clinical work whether it is time-limited focussed, open-ended psychotherapy or a full Jungian analysis. These factors all draw our attention to disturbing but potentially creative conflicts within us; these need to be understood as part of a healthy drive towards growth and transformation. The process of Jungian analysis can bring about deep change together with a shift towards greater wholeness and health. Jung called this journey of self discovery, 'Individuation'. I bring the same commitment and expertise to the work as a Jungian analyst. This has been honed by many years clinical experience, a rigorous analytic clinical training and ongoing professional development. General queries? You may find the FAQs section helpful. I work as a psychotherapist and Jungian analyst in the Panshanger area of Welwyn Garden City which is on the eastern side of WGC. This area has a good road network with a mix of quieter routes and main roads and is close to both the A414 (between Hatfield and Hertford) and the A1/M (Junction 4 at Hatfield & Junction 6 at Welwyn). There are no parking restrictions in the road outside. 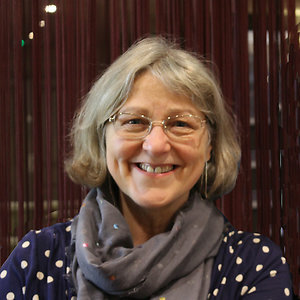 Lynda Norton: Psychotherapy & Jungian Analysis in Welwyn Garden City, Hatfield & Hertford. Serving: Hatfield, Essendon, Cuffley, Brookmans Park, Potters Bar, Goffs Oak, South Mimms, St Albans, Harpenden, Wheathampstead, Codicote, Knebworth, Stevenage, Hitchin, Ware, Hoddesdon, Broxboune and Hertford. From further afield in Hertfordshire, North London and Bedfordshire: Waltham Abbey, Waltham Cross, Enfield, Barnet, Boreham Wood, Watford, Luton, Letchworth Garden City, Baldock, Buntingford, Bishops Stortford and Harlow.